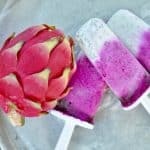 This recipe for Vegan Dragon Fruit Popsicles is sponsored by Frieda’s Produce; all opinions are my own. I love new to me fruit, my family is no different, so you know I jumped at the chance to introduce my family to Dragon Fruit. I’d sampled Dragon Fruit a few years back at Fresh Summit, and I just knew my family would love the look and taste of it. 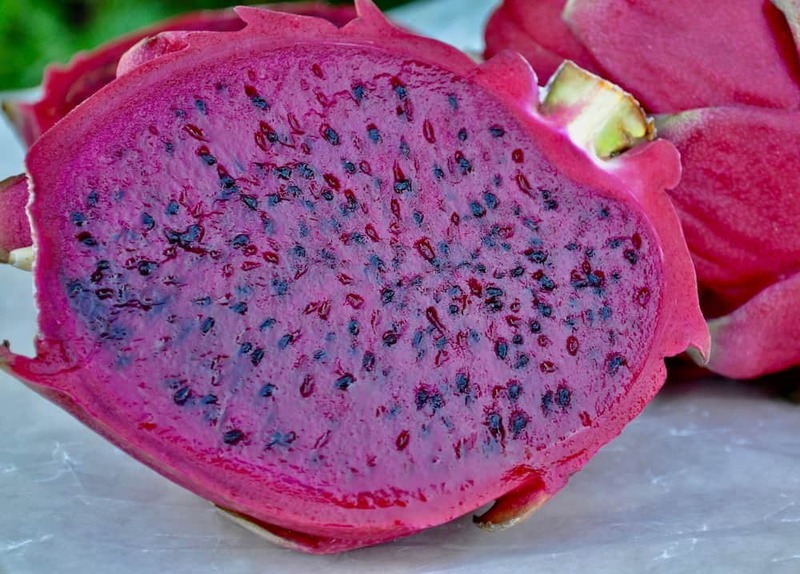 Red Dragon Fruit is sweet, juicy and beautiful in so many ways. 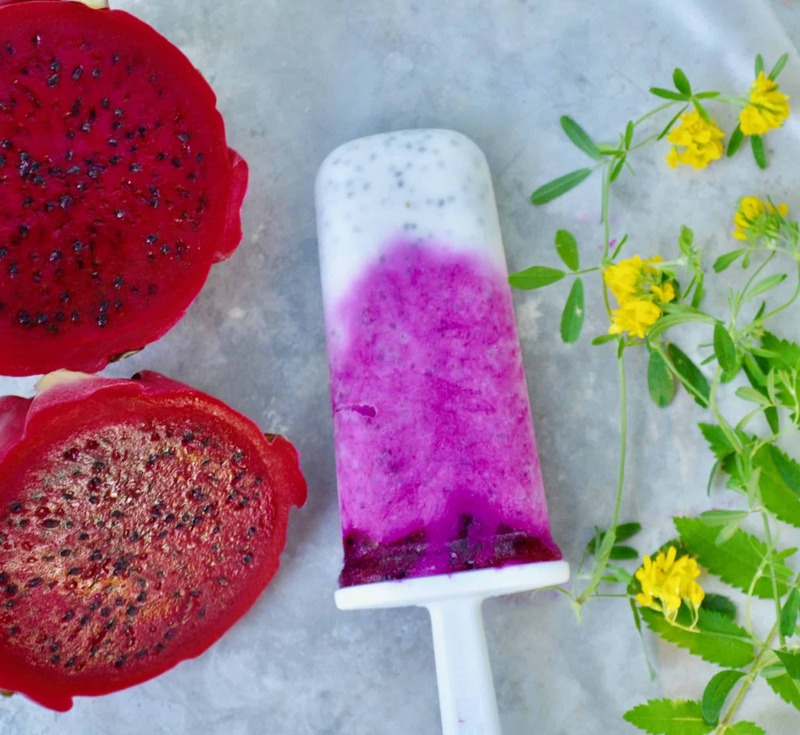 You can use the refreshing, bright pink fruit in a salad, smoothies or try these Vegan Dragon Fruit Popsicles, sure to please the whole crowd on a hot summer day. Grown in Nicaragua on the slopes of volcanos it already had my kid intrigued, volcanic fruit?! YES PLEASE. Then I cut into one, and all bets were off when they saw the juicy pink fruit inside. We split the first one open and just stood scooping big refreshing bites out of it right in the kitchen. After that, I got to work on some gorgeous photos of those beauties. And recipe testing. I wanted to make something fresh to enjoy during our hot spell. Ok don’t laugh it was up in the 80˚s and that’s hot to us. I whipped up a smoothie but quickly realized popsicles were the way to go. Along the way, I decided to try my hand at making them layered, which turned out to be easy. When you add a couple of Tablespoons of chia seeds to the coconut milk, it’s thick enough to layer. So you see while they may LOOK tricky and challenging, they’re easy to make. And honestly even easier to eat. We ate our tropical Red Dragon Fruit Pops in the cool of the evening, which was a perfect bedtime snack. But eat them anytime you need a cool refresher. We did! You will need a popsicle mold to make these popsicles. I used an average size mold and make 6 pops. Your yield may vary if your popsicle mold is bigger or smaller. Feel free to mix up your layers, put the fruit at the bottom and switch it up. 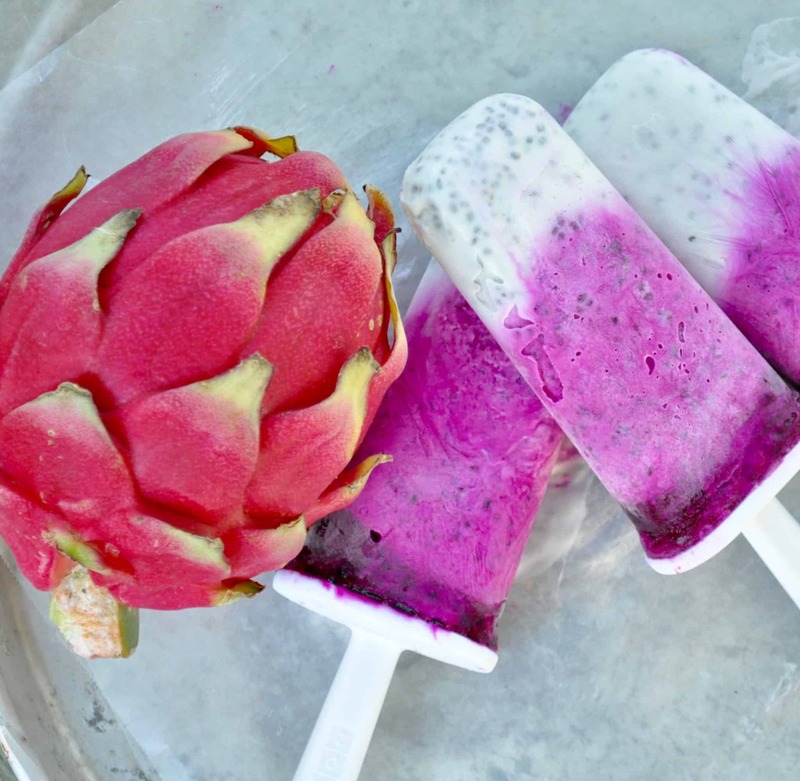 Or add other fruits to the layers for an even more refreshing popsicle. You can pick up Red Dragon Fruit in most grocery stores.  The season runs July through October, so get them while you can. And be sure to follow Frieda’s Produce on Instagram, it’s a tasty account! They’re just so gosh darn pretty!! !